Happy Valentines Day everyone! 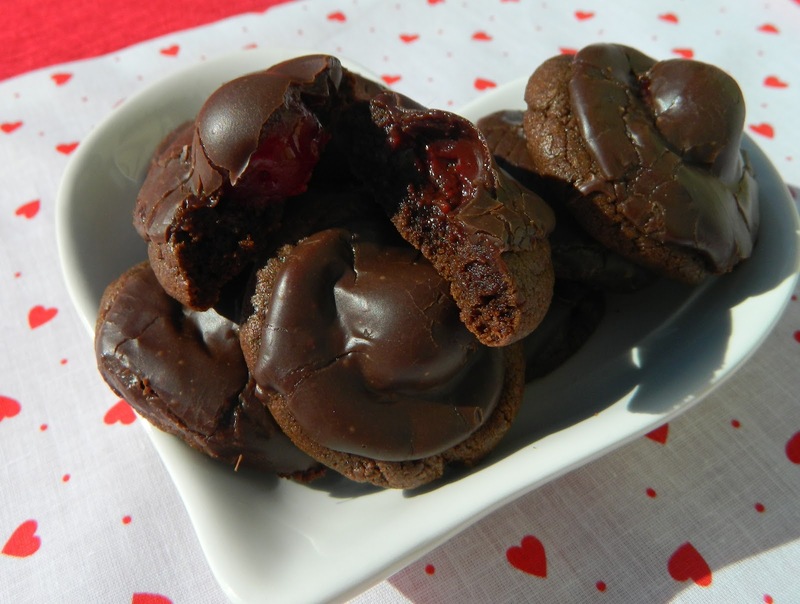 I am posting this a day early because I bet if you whip up a batch of these super moist, super gooey chocolate cherry cookies for that special someone, they will definitely be your valentine! Stir together flour, cocoa powder, baking soda, baking powder, and salt. Set aside. Beat butter until softened. Add sugar and beat until fluffy. Add egg and vanilla; beat well. Add flour mixture; beat until well combined. Shape dough into 1 inch balls. Place on a parchment lined cookie sheet 2 inches apart. With thumb, press down the center of each ball. Place a cherry in center. In a small saucepan, combine chocolate chips and sweetened condensed milk. Cook and stir over low heat until chips are melted. Stir in 4 teaspoons of reserved cherry juice. Hmmm, look at that gooey chocolate and cherry filling! 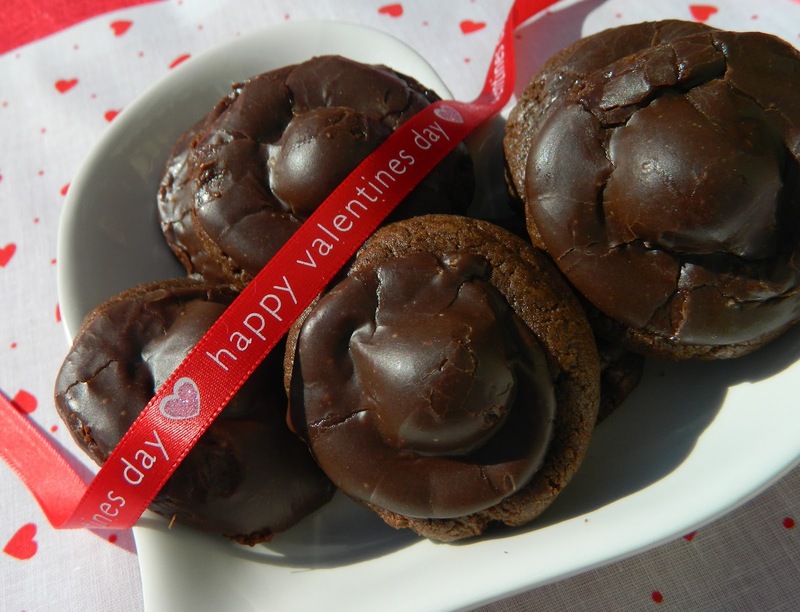 A perfect treat for your special Valentine!